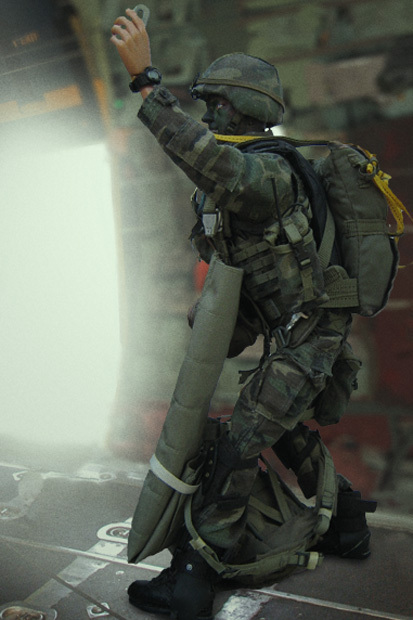 The 75th Ranger Regiment is a highly specialized light-infantry unit, capable of deploying to anywhere on the globe on extremely short notice. 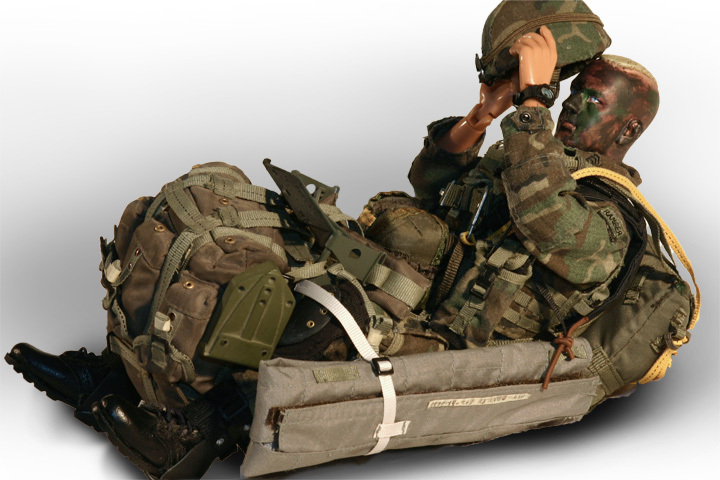 A Ranger is highly-trained to accept this challenge, practicing survival techniques in a variety of environments as well as physical conditioning. 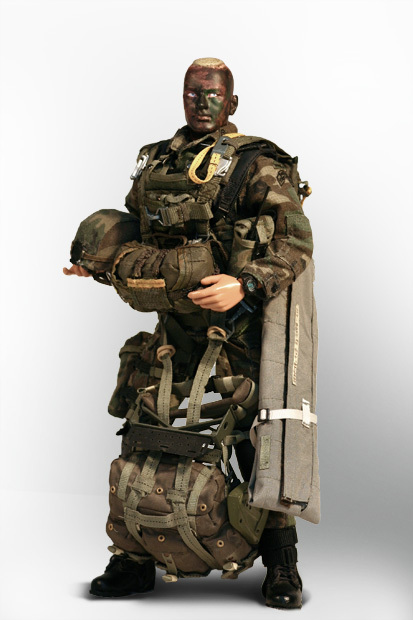 This action figure depicts an Airborne Ranger geared up for a T-5 static line parachute drop in full combat load. Recognizing that I volunteered as a Ranger, fully knowing the hazards of my chosen profession. 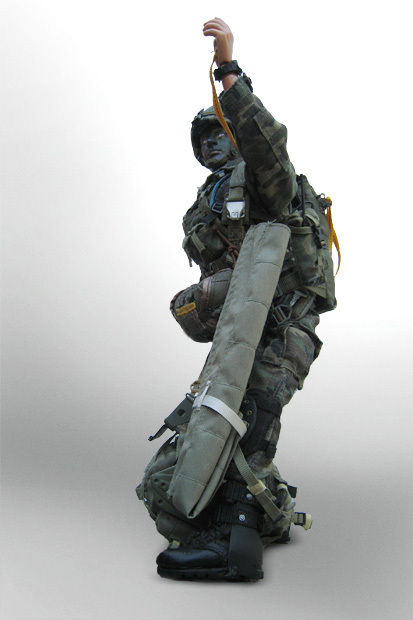 I will always endeavor to uphold the prestige, honor, and high "esprit de corps" of my Ranger Regiment. 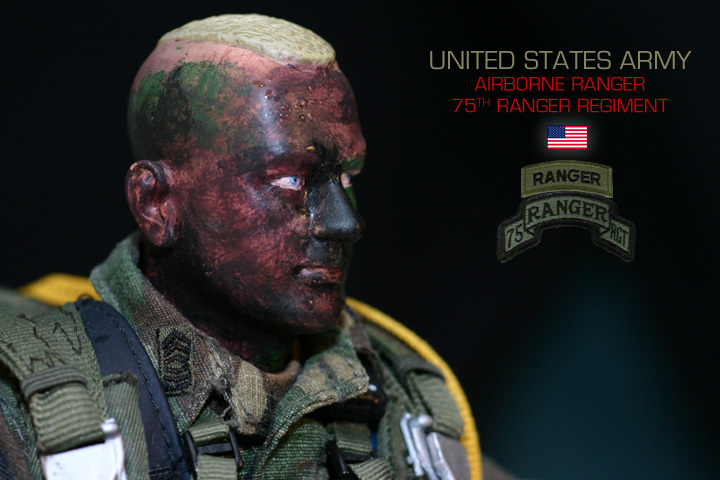 Acknowledging the fact that a Ranger is a more elite soldier who arrives at the cutting edge of battle by land, sea, or air. I accept the fact that as a Ranger my country expects me to move farther, faster and fight harder than any other soldier. Never shall I fail my comrades. I will always keep myself mentally alert, physically strong and morally straight and I will shoulder more than my share of the task whatever it may be. One hundred percent and then some. 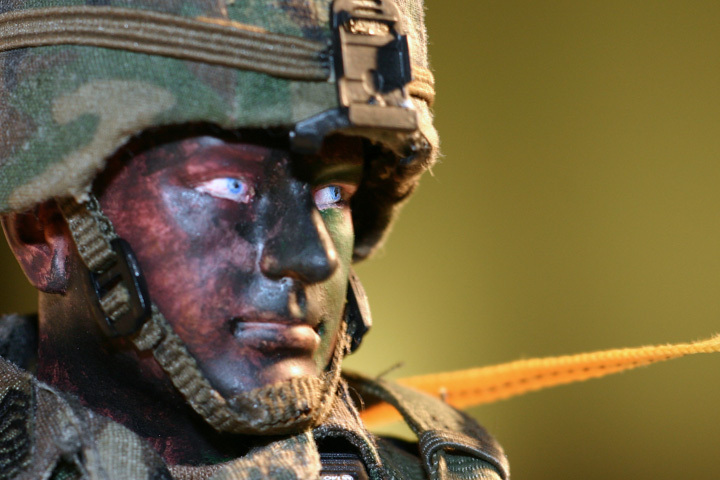 Gallantly will I show the world that I am a specially selected and well trained soldier. 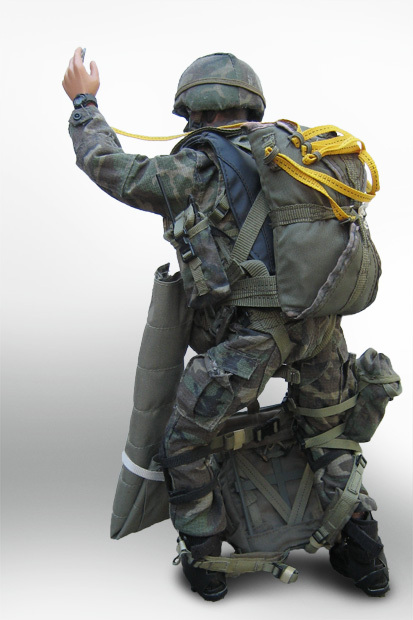 My courtesy to superior officers, my neatness of dress and care for equipment shall set the example for others to follow. Dragon's Tim Kelly was the first Dragon action figure I purchased which introduced me to modern military figures. As my collection grew, I modified my original Ranger with new parts and gear.